In order to achieve equality, diversity and inclusion in your workplace, you first need to assess the current organisational behaviours, the behaviours you would like to encourage, and act - identify what needs to be done to achieve them. The benefits of having a culture where behaviours support equality, diversity and inclusion, are well publicised, and something that we will cover in this article, but if you are aware your business needs to improve in this area, this resource will be a good starting point. The first thing to make clear, is that just saying that you are a diverse and inclusive business is not enough. It isn’t about the policies you have in place, but more about promoting a company culture of inclusiveness where everyone feels valued and supported to do their best work. This should start at the top, with senior management demonstrating those behaviours in the language they use and everything they do. As of June 2018, there were 32.39 million people currently working in the UK. That’s 32.39 different opinions, ways of thinking and potential for new ideas out there, waiting to be tapped. Equality is the state of being equal, especially in status, rights, or opportunities. In order to achieve equality, people must be fair and respect differences in their values and status. The act and more recent amendments and provisions, sets out to eliminate unlawful discrimination against harassment and victimisation of these groups of people, and to advance equality among them. Diversity can only be achieved once you have equality, and is a state of having differences, whether it is age, condition, race, religion or belief, and sexual orientation. The equality act promotes diversity by encouraging a society where different groups can relate and build relationships. Why does diversity and inclusion matter? The CIPD states the moral case for building fairer and more inclusive labour markets and workplaces very clearly: people matter, and organisations must ensure their people management approaches do not put any group at a disadvantage. Regardless of our identity or background, we all deserve the opportunity to develop our skills and talents to our full potential, work in a safe, supportive and inclusive environment, be fairly rewarded and recognised for our work and have a meaningful voice on matters that affect us. As well as allowing businesses to innovate and grow, a culture built on a diverse range of beliefs and values has been proven to increase employee engagement and reduce staff turnover. Businesses who do not act to promote these behaviours and outcomes, will find themselves at a serious disadvantage. As an employer, you are legally obliged to stamp out discrimination in your workplace and to adopt policies and practices that ensure all employees are treated according to their needs. In order to assess the organisation’s current approach to diversity and inclusion, and baseline behaviours and culture, you need to start by asking yourself some key questions about your culture, people management and processes. Is your workforce representative of wider society? Does your workforce reflect your customers and clients? Do you have a recruitment strategy that reaches a diverse audience and attracts diverse talent? Is your workforce aware of your diversity and inclusion policy? Do your brand messaging, policies and communications consistently represent the company’s attitude towards an equal and fair workplace? Is this attitude demonstrated in the actions of your senior management team? 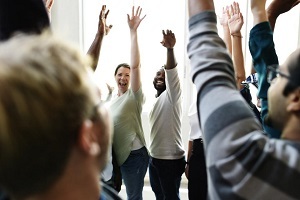 Are training sessions and meetings structured in a way that lets everyone get involved? Are the benefits and perks you are offering accessible to all of your employees, or just a select few? Does your culture support inclusion? What are you doing to make employees feel included? What are your employees saying about the culture on social media and review sites? Do your employees feel comfortable expressing their needs and do you work together to create solutions that benefit you both? Are you letting employees express their ideas, which can create innovative business solutions? Your ‘organisational policy’ is a way of describing a set of standards that every member of staff must adhere to, and a good starting point for setting out your stall and helping employees understand the behaviours expected of them and the consequences of not adhering. Beyond that, diversity needs to be ingrained in your core business plan, and something that becomes second nature. Once you have communicated the values of your organisation, you can start to inspire employees to live up to those values. Once you feel you’ve achieved a diverse workforce, you need to focus on creating an inclusive environment where people are accepted as individuals, and can perform effectively. Start early with the on boarding process. Rather than just asking new starters to read and sign the diversity policy, create training and other initiatives involving existing employees that show how the policies are being actioned. Employees need to feel involved in every aspect of the business. Regular employee updates covering company performance and future plans, and with an opportunity for two way interaction, need to be a regular agenda item and not something last on the priority list. Your leadership team is key to forming the culture of the business, and need to display the right attitudes and behaviours. You might want to consider a specific module as part of a wider leadership development programme that focuses on inclusion. It’s important that employees see leaders as aspirational people and something that they can reach for in the future. Leaders are also the first line in policing your diversity and inclusion policy. There must be a zero tolerance approach to any kind of discrimination, in order to set a wider example. Managers should also be talking with their team members regularly to find out if they do feel included in what the team is doing, and addressing quickly any feelings of exclusion. Finally, make development and succession planning an important part of your wider people strategy. If employees feel they have a clear path for development and that one day they will be able to reach the top, they are more likely to feel engaged with the company which in turn will reduce turnover and boost productivity. Download our FREE Staffing Forecast Template to help identify critical roles within your business, build critical role profiles, and set objectives and strategies to future proof your business. How can executive search help you achieve diversity and inclusion? Diversity doesn’t happen on its own. It needs to start with a workforce that fairly represents wider society, which means actively looking for ways to encourage diversity among your applicants and in your retention strategies. This requires a different approach and new ways of thinking about recruitment and HR. Hiring a third party to look after your recruitment needs ensures there are no pre-conceptions about the sorts of people that fit into your culture, before conducting the search. This in turn ensures that candidates are selected for their attributes and skills, rather than personal traits, and avoids both conscious and unconscious bias creeping into the process. If we can help with your recruitment needs, get in touch for a confidential conversation. Does your recruitment strategy encourage diversity?